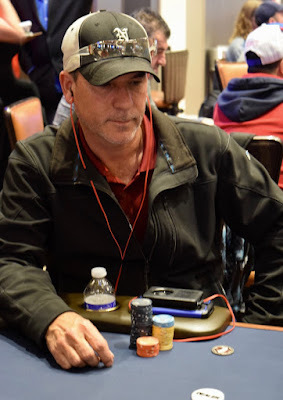 There's a raise to 5,200 from the cutoff, then James Matuszewski moves all in for his final 23,200. His challenger pauses, asks for a count, and finds a call to put Matuszewski at risk. The board runs out J-6-4-3-J and Matuszewski doubles up in the final level before players get a 30-minute extended break.